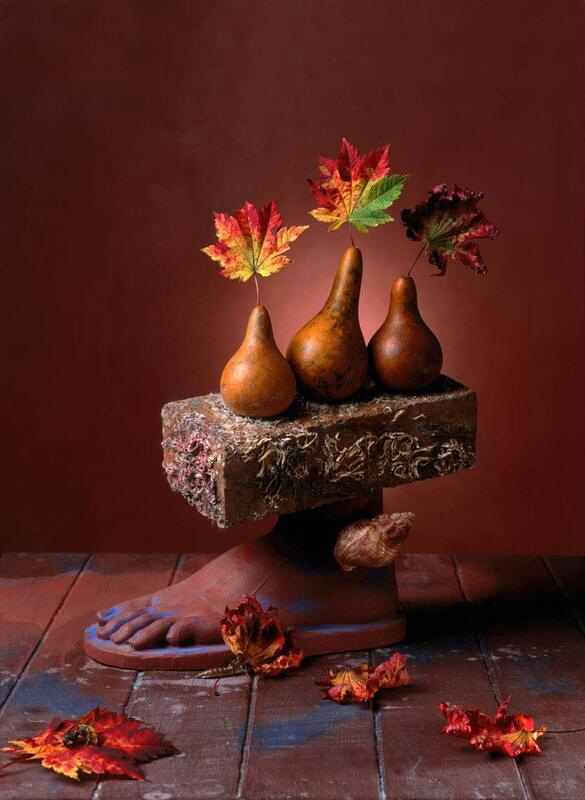 Three dried pears are balanced on a house brick which sits on a plaster caste of a human foot. Autumn or Fall leaves grow out of the pears and are scattered on the ground. A surrealist photograph by Paul Biddle.